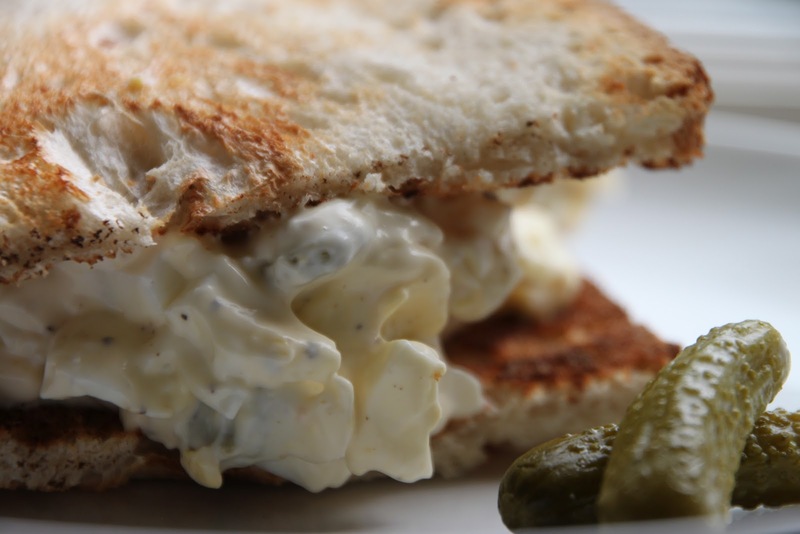 A favorite treat following the week of Easter is a good egg salad sandwich. Like you, we have an abundance of colored hard boiled eggs and this is an easy way to use some of them up. The ingredients are quite simple and can be made in a pinch. I think the secret that makes this such a delicious version of egg salad is using cornichons. Cornichons are small French pickles packed with flavor. I purchase them from Trader Joes but they should be readily found in the specialty food section of the grocery. Spread this easy salad between a nice crusty roll or toasted piece of french baguette for a wow factor! I have already made this twice this week and it is only Wednesday!